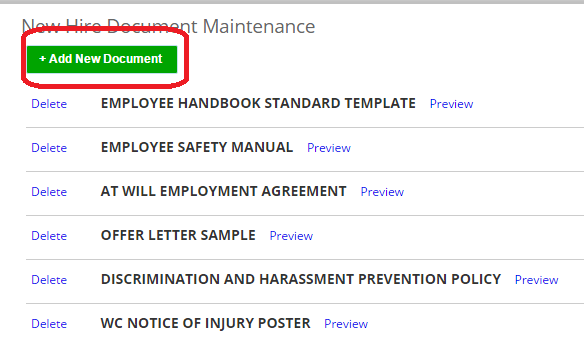 Pro Onboarding provides the ability for employers to add as many custom documents as they like for each new hire to review and optionally electronically sign. Any Word or PDF document can be added to a new hire process as a custom document. 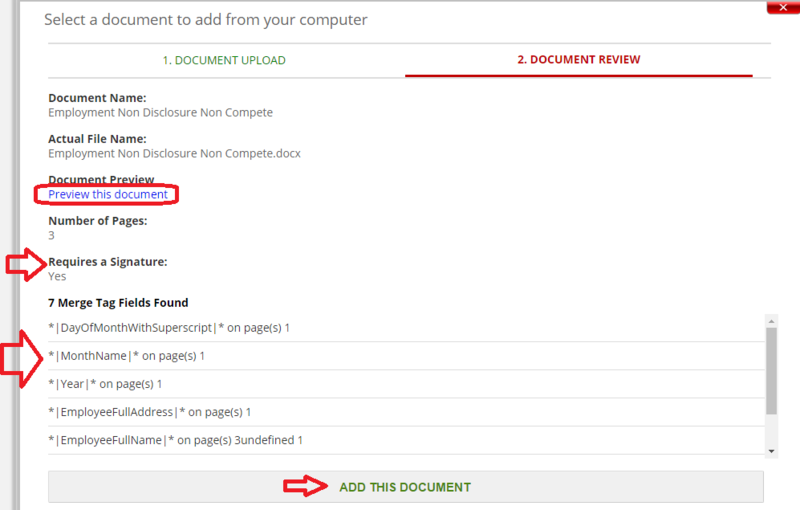 Admins can selectively choose which documents are needed for each new hire prior to sending out the notification to the new hire. If you don't like the formatting; click the X in top right to cancel the document load, edit your document and start over. Confused about how to use Merge Tags...see this in-depth help article or ask ASAP to help you customize your forms with merge tags.